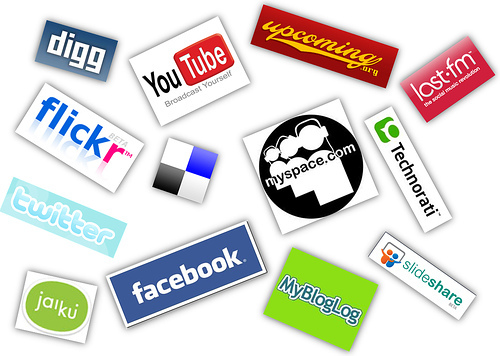 Which Channel Vendors Have Mastered Social Media? By now, you know all about the social media hype: Blogs, Facebook, Twitter, LinkedIn. By now, you know all about the social media hype: Blogs, Facebook, Twitter, LinkedIn. But if you examine how some IT vendors promote their partner programs across social media, you’ll discover some vendors are very late to the game. Don’t get me wrong, some vendors have been very involved in social media. Dell has had the Dell Channel Blog since May of 2008 and DellChannel on Twitter has over 500 followers. While others are well behind. Cisco, a few short years ago was the partner program other vendors were trying to emulate yet they just launched their channel blog this week. Mazel Tov! It’s a boy. Cisco does have a CiscoChannels account on Twitter with one, you heard me, one update. That’s the equivalent of a “ding-dong-ditch” you get the person’s attention, leave them with nothing, and make them annoyed they gave you the satisfaction of opening the door in the first place. Others haven’t yet jumped into the game. EMC Channel has no blog, no Twitter, no LinkedIn, nothing. Like I said, it’s better to have nothing than to have something and not maintain it but maybe it’s time to get their feet wet. Microsoft gets a B+. Yes they’re a massive ship that takes awhile to turn but at least they are making an effort. They have MSUSPartner on Twitter where they could do more meaningful updates but at least they’re listening, they have a great fan page on Facebook with 914 fans, and their blog was updated in the past 2 weeks. Not frequently enough for my taste, but they’ve lapped Symantec many times over in this respect. Why is any of this important? If your partners and customers are using social media how can you not? Companies need to at least be monitoring what’s being said about them or they could be missing an opportunity to engage partners and customers. Here’s an example of Motrin really upsetting some customers and recovering well. Think it’s not for you because you’re in B2B…you’re wrong. Your customers/partners/end-users have even bigger mouths and bigger wallets to get the word out. If you’re not involved in social media or at least monitoring it you’re missing a huge opportunity and, dare I say, damaging the brand you’ve spent years and millions of dollars to build up. Contributing blogger Heather K. Margolis, the Channel Maven, has led channel programs for major IT companies. She also has extensive lead generation and marketing experience. The VAR Guy is updated multiple times daily. Don’t miss a single post. Subscribe to his newsletter, RSS feed, Twitter feed and Resource Center. Just a friendly reminder that Heather’s opinions don’t necessarily reflect those of The VAR Guy or this site’s owner. As a contributing blogger and true Channel Maven, Heather is free to share her informed opinions. Still, The VAR Guy disagrees with Heather’s conclusions regarding Cisco. The company has been posting Channel-related videos to YouTube and engaging third-party blogs (including TheVARguy.com) for multiple years. In fact, Cisco claims to have 13,000 bloggers, according to The Wall Street Journal. Another side note: Heather has disclosed that she previously worked at EMC and Dell, focusing on their channel programs. Alas, The VAR Guy doesn’t know enough about the social media strategies at EMC and Symantec to defend their efforts against Heather’s quick hits. Anybody else care to debate Heather? The VAR Guy is all ears. According to wikipedia, a maven is a trusted expert in a particular field, who seeks to pass knowledge on to others. It is this “passing of knowledge,” I have issue with, because unless I am reading this blog entry incorrectly, the Channel Maven would have you believe Cisco just joined the social media craze with the May 1, launch of our “Channels” blog and nothing could be further from the truth. Here’s why? 1) It was Dec. 2006, when Cisco established a presence in Second Life and some would say we have been a pioneer in using Second Life as a business tool as discussed in this April 26, 2007 Information Week blog post. On top of that it was May 2007, that Cisco hosted one of the first channel partner events in Second Life as discussed in this VARBusiness blog post. 2) It was April 2007, when a little known blogger, The VARGuy, was approached by Cisco to have exclusive access to follow, former Senior Vice President US and Canada Channels, Chuck Robbins, around during the Cisco annual Partner Summit, allowing for great behind the scenes posts and helping to launch one of the first IT channel blogs. 3) In Sept 2007, Cisco launched Partner Space, an industry first virtual environment that facilitates partner to partner collaboration. 4) Last year at the Partner Summit Cisco launched Partner Exchange, designed to help Cisco partners find, connect, and collaborate with the right group at the right partner. In addition, Cisco took its Partner Summit virtual, becoming one of the first vendors to host a virtual partner conference, which was discussed in this Business Week story. In closing, it should also be noted that until the launch of “Channels” on May 1, we used Cisco’s corporate blog “The Platform” as our blog for partners. The Platform gets more than 125,000 hits per month with one of the largest audiences being channel partners. And despite the differing views on Cisco, The VAR Guy is thrilled to have Heather’s voice and channel experience on this site. I stand corrected…and boy do I ever. This is a great example of a corporation monitoring their social media. Please see my update here: http://channelmaven.blogspot.com/2009/05/vendors-get-their-social-media-score.html. Has anyone heard from Symantec or Microsoft? Would love to hear what exciting things I am missing there as well. I did hear from EMC yesterday so look for an updated post and announcement next week! In addition to the Dell channel blog, and our idea center (PartnerStorm) don’t forget about Dell’s channel group on Linked In, Facebook and our TechCenter Wiki. The purpose of these is not to push out information, as many would suspect, but rather to have a conversation and get input from the partner community. We really want to know what we’re doing right, wrong, and what we can add to make our PartnerDirect program the best. Check it out. Jeff: The idea center is great. That much information can be overwhelming but everything is really easy to find and organized. I like that partners/customers/sales people can link things to their Facebook page so you’re getting exponentially more exposure. Voting and posting, thumbs up. The idea around social media is that we can no longer “interrupt” our partners and customers with messages they have no solicited. Here you give partners and customers an opportunity to post what THEY think is important. LinkedIn I have a suggestion if I may. When I tried to search for it as if I didn’t have the link I used ‘Dell’ which of course brought up 50+ groups that any one of your partners is too busy to look through. I found nothing when I searched Dell Channel or Dell Partner because you named it Dell PartnerDirect which not everyone would know is the name of your channel program. I know legal and the branding police may have a fit but if you saved it Dell Partner Direct more partners and fans would find it. Facebook page is always fun and anything to get partners and Dell channel professionals singing kumbaya is a good thing! The largest tier one folks are pretty good (and have resources to devote to it), but on the whole channel programs are missing the mark in terms of social media…even online marketing. The problem lies in the fact that all too often companies want to control messaging and conversations. It has been said before (somewhere), but the funnel really has been flipped upside down. Manufacturers are no longer in control – their customers (and their customers) are. Here’s hoping more realize this and adjust their views accordingly.